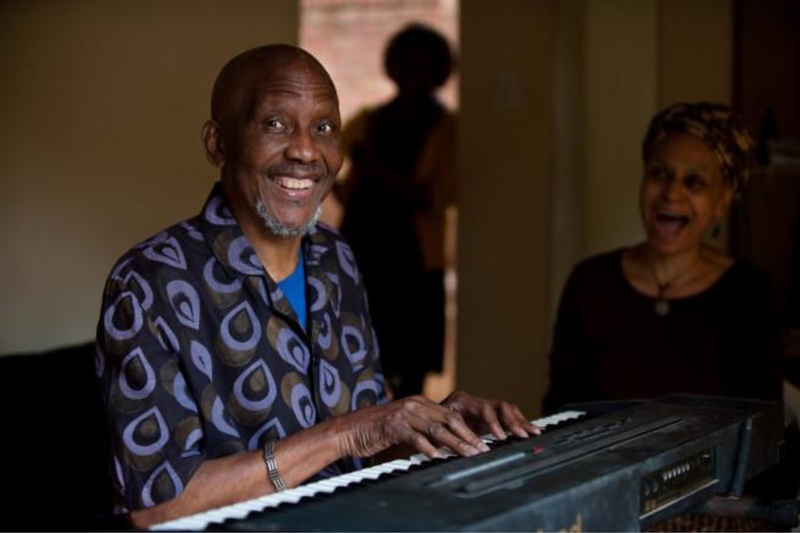 Composer, keyboardist, percussionist, instrument maker, innovator, activist, Baba Ndikho Xaba was diagnosed with Parkinson's disease 10 years ago. He now requires 24/7 nursing care and the Xaba family is reaching out to ask for any assistance you might be able to give in carrying this cost. All monies raised will be used for his health care. You can watch a two-minute video outlining the situation on Gofundme and also make any size donation. If you are in or near Durban on Sunday 20th May, there is going to be a great celebration of Baba Ndikho Xaba's 84th birthday. His living legacy will be celebrated by numerous musicians and performers, all of whom have a close connection with Baba's innovative, creative work. The UKZN Big Band (directed by John Kordalewski) will perform several of Baba's compositions. A host of other fine, talented musicians will also perform. At 1:00pm we will open the media room which will show vintage film of some of Baba's performances - We will also display and curate some of his hand crafted instruments. So come early! There will be a jam session at the end so feel free to bring your instruments. Entrance cost will be a donation of R200. For those of you who can afford it, why not donate an additional ticket for a music lover who otherwise could not afford to get in? The family asks that you do not take pictures or videos during the celebration. There will be designated photographers to document this historic event. 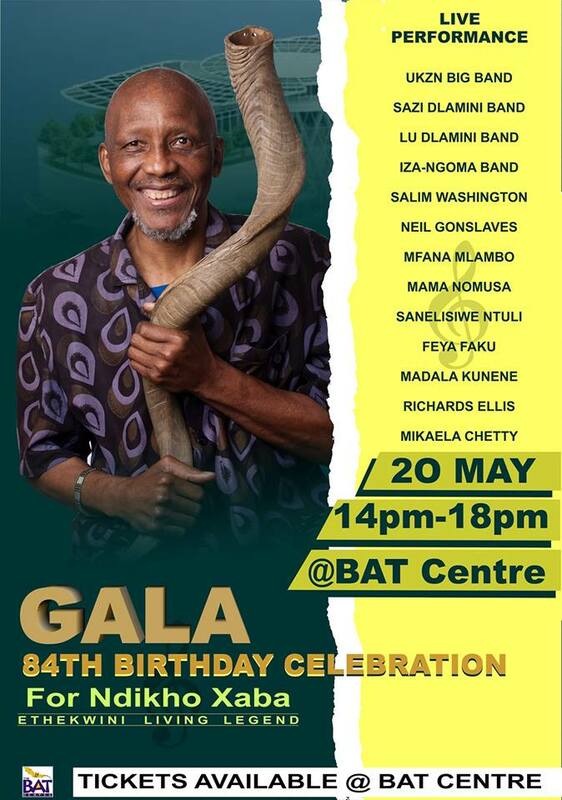 If you are on Facebook, you can watch a great clip (thanks Mamsie Ntashangase) of the UKZN Big Band playing the track "Nomusa" at the Durban Botanical Gardens on International Jazz Day here. Amongst year-end reflections of gratitude and disappointment the question of forgiveness keeps coming back to me. Those who seek it, those who give it, and those who cannot even ask because they will not admit their wrongs. South African imaginations are currently captured by political and corporate leaders who deny their own wrong-doing. I hope this will change – the truth will be found, and hope can be restored. Asking for forgiveness can be a happy and fulfilling experience. If it does not land you in prison – it can really make you dance! Everyone of the seven tracks in this mix are asking for forgiveness (Ngixolele, or Ngiyaxolele) – from heartfelt 70s soul, via an unstoppable disco groove that will capture you, to labd amongst some irresistible mbaqanga to bribe you with involuntary movement. And, to round it off are the Mahotella Queens beautifully singing the traditional church hymn “Baba Ngixolele”. (Father forgive me). I wish you happy holidays. 1. Ngixolele: The Movers (1978). 2. 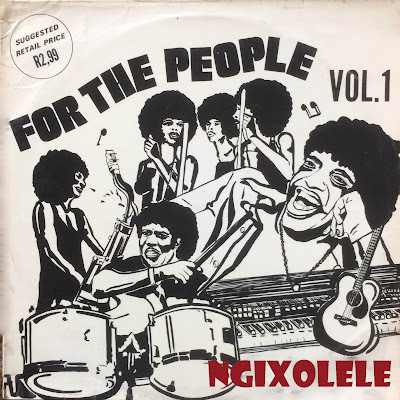 Ngixolele: The Hotella Stars (1978). 4. Ngixolele Baba: Izintombe Zesi Manje Manje (1978). 5. Ngixolele Mngani: Izintombe Zesi Manje Manje (1978). 5. Ngixolelene: The Soul Brothers. (1978). 7. Baba Ngixolele: Mahotella Queens (1966) Church Hymn. Its fifty years since Dr Christiaan Barnard performed the world’s first human heart transplant on 3 December 1967 in Cape Town. And yes, there were some interesting songs celebrating these extraordinary events and circumstances. 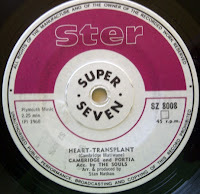 Like landing on the moon, the sheer sixties audacity of a human heart transplant seized imaginations around the world. Besides the science, people were also talking of the existential implications of first transplanting a woman’s heart into a man, and then, transplanting the heart of a “coloured” man into a “white man" - in South Africa!. For the first transplant, Barnard realised that, given the numbers, there was a greater chance of a black donor heart becoming available – but he did not feel he could ask the apartheid-controlled authorities permission to transplant a black heart into the awaiting 55-year-old 'white' Louis Washkansky. As it turned out Washkansky received the heart of a 25-year-old white bank clerk, Denise Darval. He survived for 18 days and died of pneumonia. It was the second heart transplant early in 1968 that crossed the line, so to speak. The world was really talking about the implications of Dr Barnard transplanting the heart of 24-year-old “coloured” Clive Haupt into 58-year-old “white” Dr Philip Blaaiberg. Here was a powerful metaphor that exposed the irony and injustice of apartheid for all to see and discuss. BJ Vorster had just succeeded Verwoerd as South Africa's Prime Minister, and separation of the races through forced removals and the homeland project had stepped up a further gear. At the turn of the 21st Century 30 to 40 heart transplants were carried out every year in South Africa. An interview with the heart surgeon Dr Willie Koen, who headed the Christiaan Barnard Memorial Hospital's heart transplant unit in 2009 said the transplant numbers had since dropped to only about 15 to 20 a year – due to costs and a lack of donors. However you may feel about heart transplants and how healthcare budgets are allocated and spent – there were two 1968 musical tributes (that I know of) to Dr Barnard’s achievements – from South Africa and Venezuela! 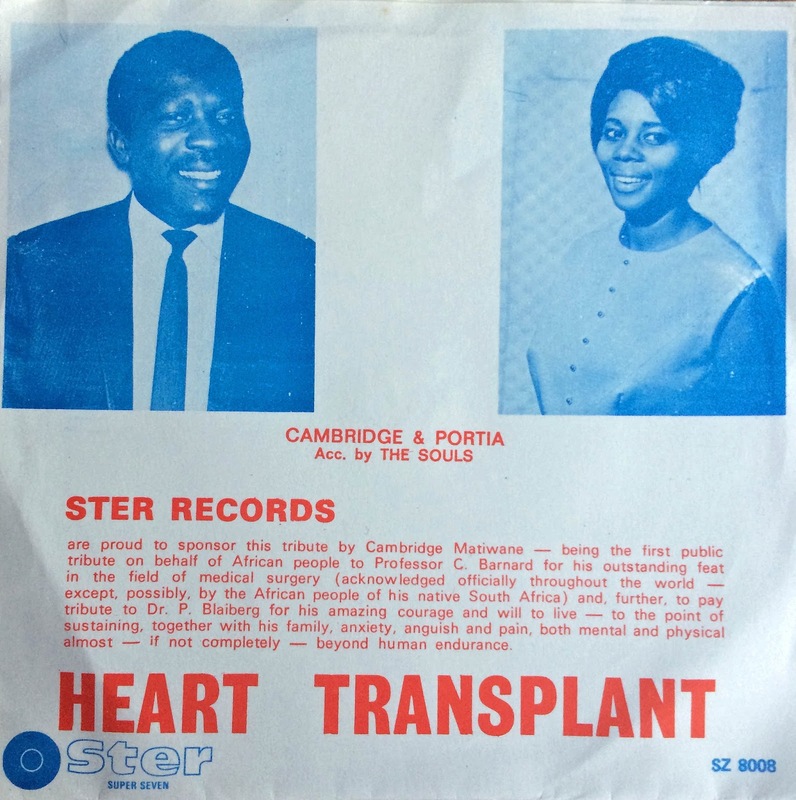 “Ster Records are proud to sponsor this tribute by Cambridge Matiwane – being the first public tribute on behalf of African people to Professor C. Barnard for his outstanding feat in medical surgery (acknowledged throughout the world - except possibly by the African people of his native South Africa) and further to pay tribute to Dr P. Blaaiberg for his amazing courage and will to live - to the point of sustaining, together with his family, anxiety, anguish and pain, both mental and physical almost - if not completely - beyond human endurance." 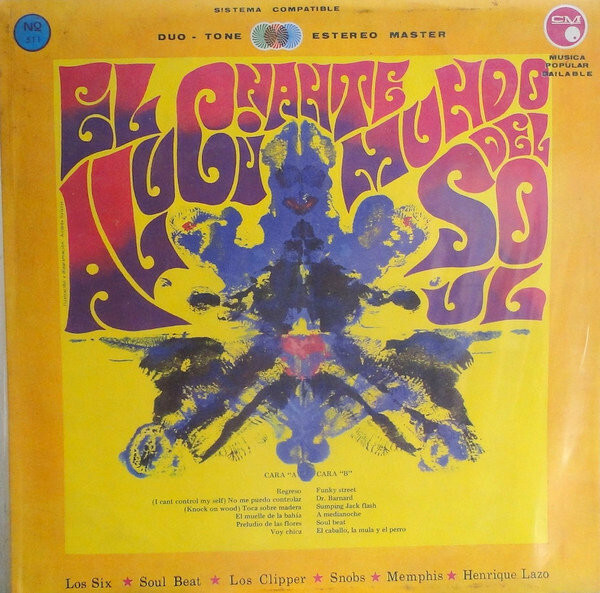 Across in Venezuela, psychedelic rock band “Los Six” were similairly inspired and produced “Dr Barnard”. Have a listen – and, if you know of any other efforts from that time, please let us know. The tracks are stored on Souncloud and can be downloaded from there. Click on the links below. A very lucky off-chance find whilst digging in a London shop. Originally priced at R5.99 with a Kohinor Kort Street price sticker! In a few comments on other posts a number of people have requested this LP and so here it is. 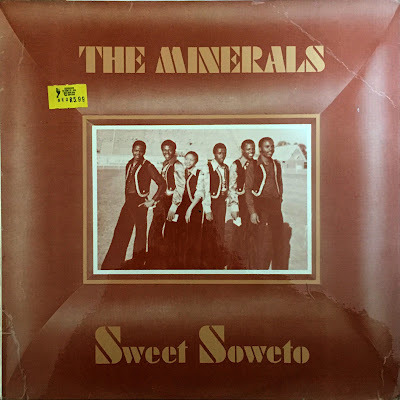 The Minerals are: Thelma Segona (organ/piano/vocals), Ronnie Makhondo (percussion/vocals), Nick Kunene (lead guitar/vocals), Jonas Mkhabela (bass), Joseph Tshabalala (drummer), Isaac Moraba (vocalist), and Jimmy Mojapelo (composer and leader). You thought we had gone! But we're back, briefly for the first posting of 2017! 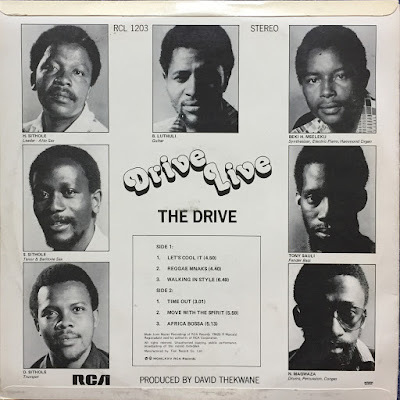 By special request from a number of people, specifically for the track Africa Bossa, here is South African soul jazz funk band from the early seventies - The Drive. 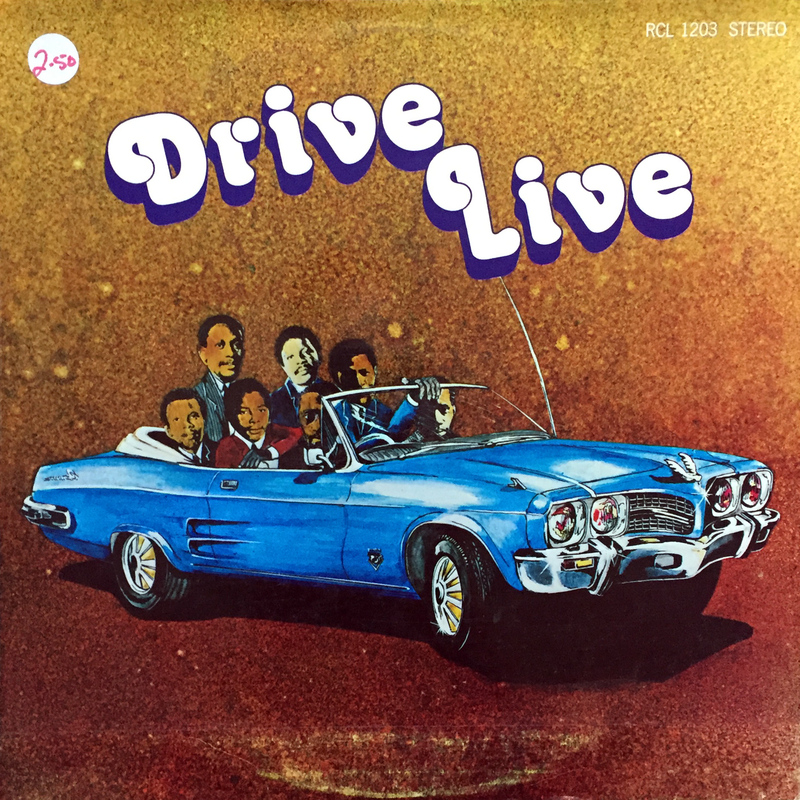 Whilst this is titled Drive Live it is in fact a studio recording with overdubbed crowd sounds. 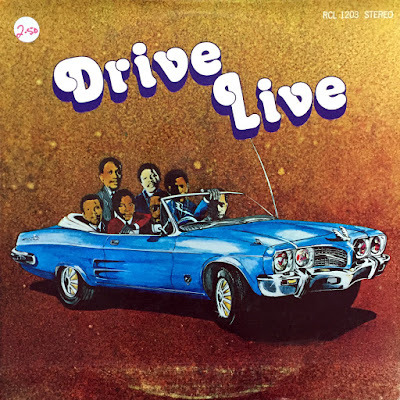 We have posted a number of other Drive LPs at electricjive before. You can check them out here. Of interest to many will be the appearance of Bheki Mseleku on keys. “Oh believers gather around and start praying, for the devil has arrived!” Joseph Kumalo is not alone in blaming the devil for ‘changes’ he is not happy with. For Kumalo, South African cities in the early 1960s were dens of iniquity corrupting the traditions and values of rural folk. Drinking, smoking marijuana, gambling, fighting were the work of the devil. We have all encountered a few “devils” of our own this year, and I thought it a good time to dig through my ‘new finds’ for a year-end Office Party shake-out. 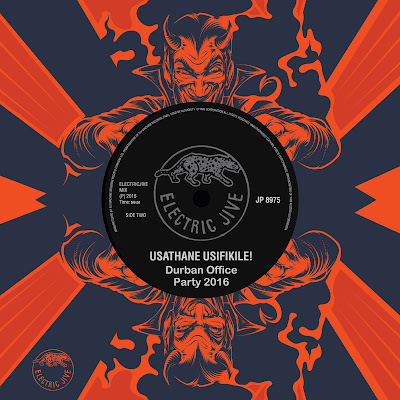 Welcome to a bumper edition of the Electric Jive 2016 Durban Office Party. 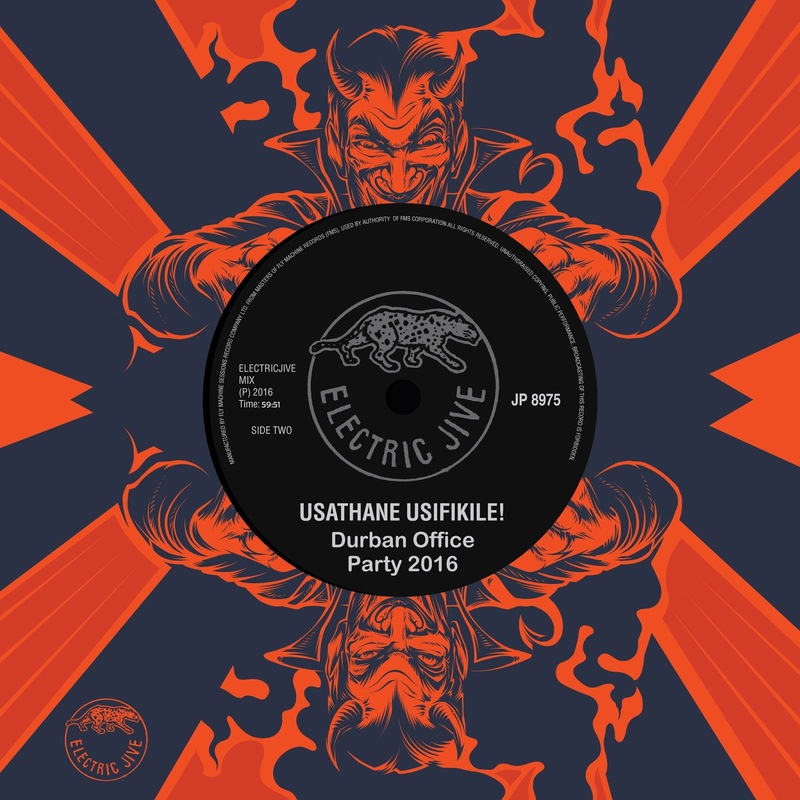 Sadly, unexpected changes to my work-travel commitments prevent me from actually spinning these discs, as planned, at the Electric Jive Office Party at Khaya Records on Friday 9th December. A party of one sort or another is still happening though. "Familiar Favourite" (Mxolisi Makubho) and Hotdog Fingarz of Fly Machine Sessions are keeping their part of the bargain and will be coming through from Johannesburg with some great tunes on vinyl. Make a note: Khaya Records, Durban – Friday evening 9th December. I will leave a gift for the first thirty or so people who make it through the door. Thanks to Vusi of The Fly Machine Sessions for the graphic at the top of this post! So, herewith two hours of what I would have played, if I could have. First up is a one-hour trip that sets off from the countryside with guitar and vocal commentary from the late 1950s, early 60s, building up via violin jive through Zulu blues, to early rock and roll. Victor Ndlazilwana (later of Jazz Ministers fame) is credited with writing and playing on “Please do it oh Baby”, a song that would not have been out of place on an Elvis album from that time. The merriment builds, morphing from rock-influenced marabi jive through to big-band ska from the likes of Orlando Jazz Combo. Have a listen to Chris McGregor and the Blue Notes playing Dudu Pukwana’s “Ndiyeke Mra” and check out the strong ska influence! 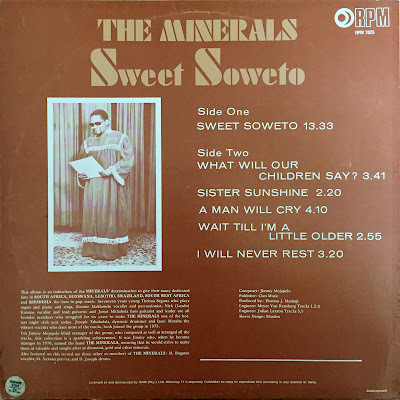 Likewise, Africa’s Hot Ten (including Kippie Moeketsi and other jazz luminaries) showcase the deep well of great talent and technical dedication from the time. 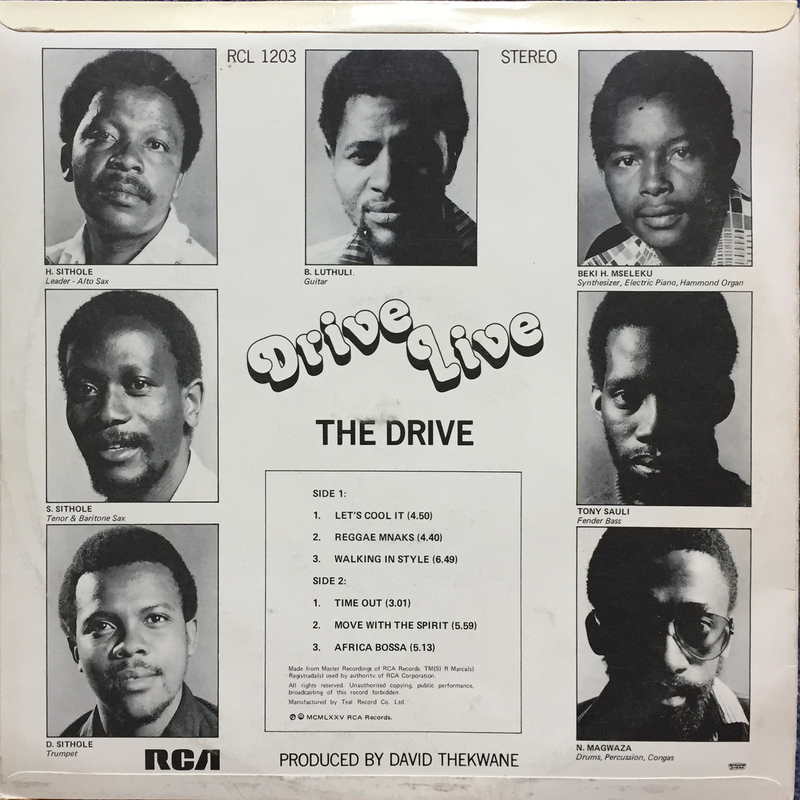 The mix changes direction, revisiting some great brass-driven marabi jive tracks from the likes of “The New Havana Orchestra, The Shakers, and the The Kwa Mashu Swingsters”. We warm down with the sweet vocals of the “Dark City Sisters” and end as we began, artists referencing “Inhliziyo Yam” (my disposition, or mood). Whereas Job Ndlangalala starts this set with a hauntingly beautiful guitar track telling of the circumstances that were ‘killing’ his mood, The Shakers end-off with an upbeat simple finale. So – if you feel the need to cleanse, purge, indulge, exorcise, dance, this mix can help. The 78rpm recordings are being shared as a single mix-tape. Sorry, no separated tracks on this one. I wish all visitors to Electric Jive happy holidays, and a much, much better 2017! 1. The Play Singer: Hambabamfana. (Job Ndlangalala) Columbia YE208. 2. The Play Singer: U Ngi Cebe E Poisen. (Job Ndlangalala) Columbia YE129. 3. Joseph Khumalo: Usathani Sefikile. (Joseph Khumalo) Quality TJ.855. 4. Nongomo Trio: Zulu Violin Special. (Nongomo Trio) Columbia YE.333. 5. Gumede's Happy Violin: Thatha Jou (J. Gumede) Gallotone Jive GB.3212. 6. Stanley Caluza: Sengimtholile. (Stanley Caluza) Columbia YE392. 7. Daisy Newman: Abafana. (Daisy Newman) Winner OK.051. 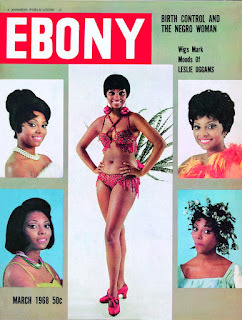 8. Cooper & The Black Be-Bop Sisters: Ebusuku Nemini (Theodora Ngcongo) Winner OK.114. 9. Merebank Youngsters: Ngiyazisola (Merebank Youngsters) Columbia YE.85. 10. The Bogard Brothers: Che Boogie Here. (L. Motau) His Master's Voice JP.750. 11. Big Rock Chaka: Please Do It Oh Baby (Victor Ndlazilwana). Tropik DC.751. 12. Almon's Jazz Kings: Uyidoda (Almon Memela) Gallo USA USA280. 13. Orlando Jazz Combo: Imbasha (Percy Gumbi) Gallo USA USA304. 14. Chris McGregor & His Blue Notes: Ndiyeke Mra (Dudu Phukwana) Winner OK.125. 15. Africa's Hot Ten: Club 600 (E. Williams) Winner OK.001. 16. Christopher and his Home Swingsters: T. Time Ska (Chris Songxaka) Gallo New Sound GB3581. 17. Sofasonke Swingsters: Umlahla (Edmund Piliso) His Master's Voice JP.857. 18. Cooper & The Black Be-Bop Sisters: Vat en Sit (Gloria Malete) Winner OK.114. 19. Zee Zee Jazz Appointment: Jazz Palace (Rupert Bopape) His Master's Voice JP.741. 20. The New Havana Orchestra: City Phata (Ngubane) Troubadour AFC.605. 22. Kwa Mashu Swingsters: Siyanda (Roland Mqwebu) RCA.250. 23. The City Dazzlers: Ngenye Mini (The City Dazzlers) HIT.120. 24. The Dark City Sisters: Tap Tap Ntshebe (Zeph Nkabinde, Michael Xaba, Rupert Bopape, Elijah Nkwanyane) His Master's Voice JP.700. 25. The Shakers: Intlyizo Yam. (Busi) Troubadour AFC.643. The second one-hour set is drawn from 45rpm, most of which found their way to my drawers this year. 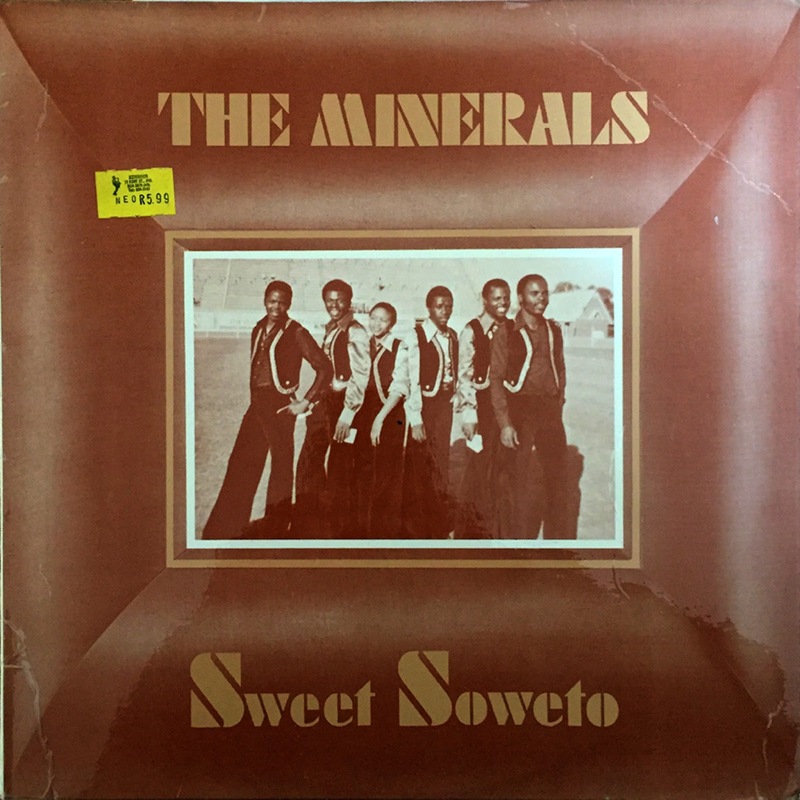 Seventies South African soul, funk, pop, jazz and then some mbaqanga to round it all off. 1. The V.I.P.s: Maxie's Mood. (M. Kubekha, I. Twala). Love Love LVB220. 2. The Anchors: Friends In Soul. (The Anchors). CYB69. (1969). 3. The Inn Lawes: Peter and Zacks Special (Peter Morake, Zacks Kgasapane) CBS AB 326. 4. S. Piliso & His Super Seven: Papa Was A Rolling Stone (Whitfield and Strong) FGB625 (1973). 5. Cool Cats: Wilderness (Gilbert Matthews, G. Sabela) Soweto SWB 4 (1973). 7. Cool Cats: See You Later (P. Nkosi, B. Kgasoane) Soweto SWB 4 (1973). 8. The Black Pages: There Goes (N. Makua, E. Kheswa, G. Molefi). Soul Jazz Pop SOJ 140 (1977). 9. S. Piliso & His Super Seven: Umgababa (Edmund Piliso & Themba Dlamini) FGB625 (1973). 10. Bops and Son: Chicken Soul (D. Mchunu) MJW Records MJW.107 (1976). 11. Inthuthuko Brothers: Soweto Disco (S. Jibiliza)Black Cherry BCS110 1978. 12. 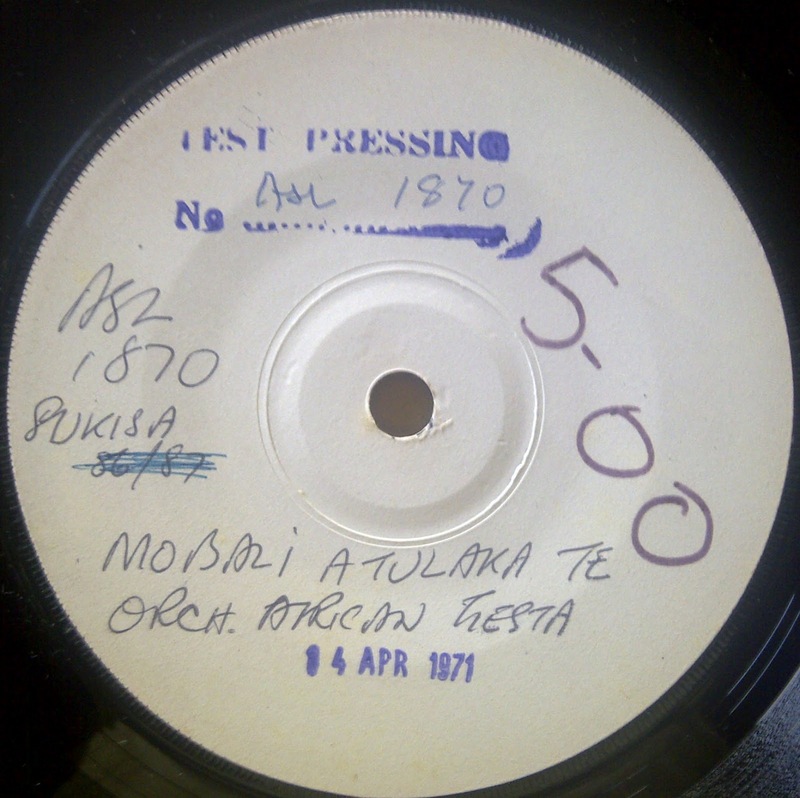 Shumi: Gideon, Early & McKay (Holler/Arr: Masingi) BUA8803 (1974). 13. Jazz Disciples: Tete’s Jump (Tete Mbambisa) HMV JP887 (1967). 14. Rift Valley Brothers: Mutirima Waka (Lawrence Nduku) Mercury MER11. 15. Abafana Bentuthuko: Double Line (Hansford Mthembu) AB666. 16. John Mkhabela and the Fire Wizards: Umdidyelo (J Nhlapo) GGB456 (1971). 17. The Play Boys: Cross Road (D. Mokoka - M. Maliehe) JP1338 (1973). 18. Izintombi Zomoya: Oseke Walla (Rupert Bopape and Irene Mawela) Motella MO 522 (1974). 19. Abafana Besi Manje Manje: Bathini Nzimande (Hamilton Nzimande) HVN NZ.68 (1974). 20. Johanes Lenkoe with the Suger Suger Boys: NU 3 (Johannes Lenkoe) Six Mabone SMB 728 (1975). 22. The Creations: Wild Man in the City (Manu Dibango) PD 1270 (1976). A sultry, slow and unhurried Sunday morning selection from the ASL drawers. Earlyish Congo Rumba, all except the last was pressed and sold in Kenya. 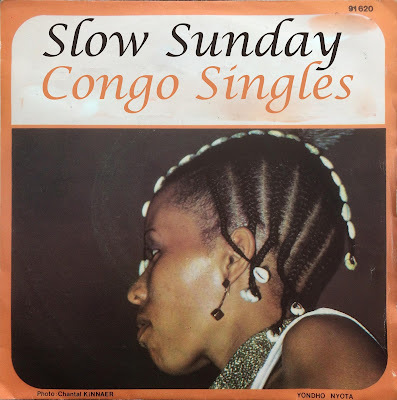 A while back in this blog there was a great response to three posts of ASL Congo singles (here, here, and here) so, this next instalment is long overdue. This time with some focus on a deep breath (it does that for me anyway) before the year-end madness.The mixtape version is for my own comfort during some upcoming travel time I have to put in. Separated tracks are also provided. In my September 2012 ASL Singles post I gave an outline of South African interests, particularly the Gallo Record Company’s interests in establishing ASL. Gallo Nairobi was established in the early 1950s. Following Kenya’s independence in 1963 visible South African ownership of the company became a problem, so Associated Sounds (East Africa) Pty Ltd (ASL) was set up as a dummy company by Gallo in the United Kingdom. ASL had their own Kenyan pressing plant. ASL certainly released a huge amount of Congolese and East African inspired Rumba and Soukous in the 70s and 80s, with the tracks easily stretching to five minutes each on the micro-groove format. Enjoy your Sunday morning, or late night, whenever you feel like being soothed.